LizArt: Best Wishes ... Tone on tone card. Best Wishes ... Tone on tone card. 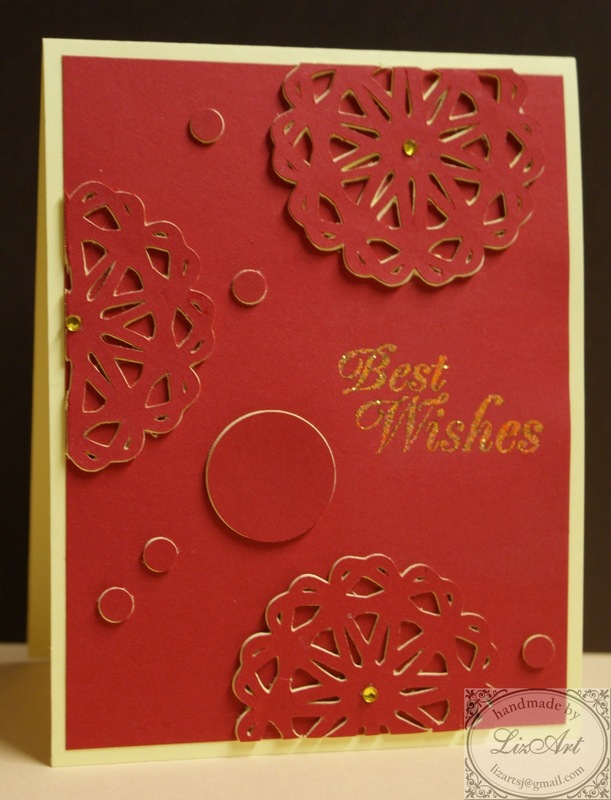 Hi, this virtual class was very interesting, i love it, because was so new to me, we learn a Tone-On-Tone Dimensional Cards by Jennifer McGuire, and the cards looks Great!!. I hope you like it, and see you in the next card. O like the way the yellow peeks through the red in the cuts. Very nice.